That can’t be too bad! The single best coming-of-ager ever made. Bonus points for having the best final line of all-time. Everyone owes it to themselves to see this movie. Great review, man. Right there with ya’. And so sad that this is still Jerry O’Connell’s best role. You are right. “Classic” is overused. I was just talking about this film with friends yesterday! Hard to believe the film is 25! Good ol’ Jack Bauer is fun to watch him from back then. haha. 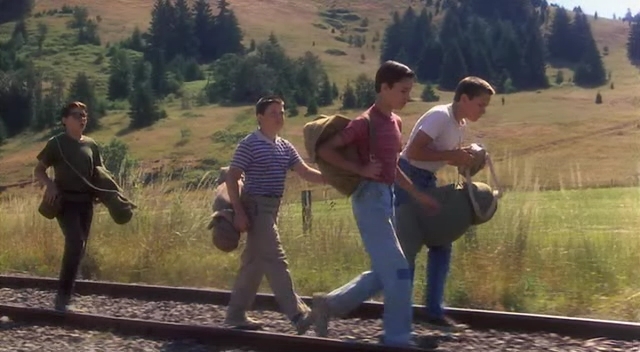 You’re right, but Stand by Me definitely deserves it. Friendship is timeless (as the ending shows), and this movie could have been set in any time period, really. my must watch movie anytime anyday .